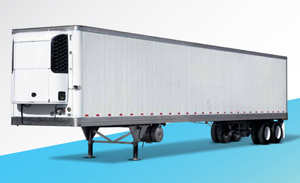 Leland Trailer has been serving the Transportation Industry since 1949. 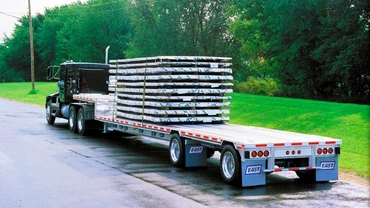 Leland Trailer provides service and parts for all manufacturers of flatbeds, dry vans, hoppers, reefers, lowboys, tank trailers, car trailers, cargo vans, boat trailers, livestock trailers, and just about any other type of heavy duty trailer. We serve all industries including general freight, refrigerated, liquid, agriculture, lumber, mining, livestock, autos, and specialized transportation. 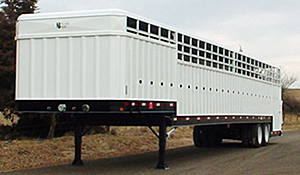 Leland Trailer’s Service Department also does all types of fabrication from steel to aluminum to stainless. We can rebuild just about anything for you. 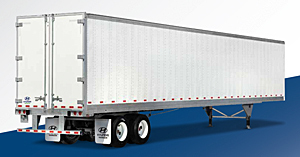 Leland’s Service Department facility can accommodate up to 10 semi-trailers. So, we can always fit you in. 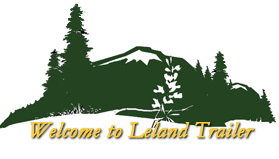 Leland Trailer’s Service Department also provides various services for trucks including the latest diagnostics. You can get both your truck and trailer serviced at one place at one time. 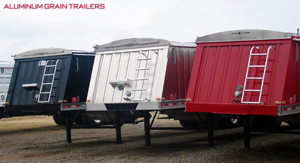 Leland Trailer’s Sales Department stocks a variety of New and Used Trailers. Leland is an authorized distributor for East, Neville, Aero, Maxon, and many other manufacturers. Leland Trailer’s Part Department stocks quality parts for all major trailer manufacturers so we have the parts on hand when you need parts. Please call or email us today! We are here to serve you! At Leland Trailer and Equipment Company, the customer always comes first!